Best Buy sent me the Arlo Smart Home Security Cameras a few months ago. I wrote about the Connected Home Netgear Arlo 4 HD Camera Set a while back but never gave a review that I felt gave it the integrity it deserved. Now that we’ve used it for several months I feel like I can give a thorough and very honest review. We live in the country. When I say country I’m talking half mile to a mile from our nearest neighbors and an hour and a half to the nearest city suburb. We’ve recently had a lot of break-ins in the area. When I say break-in, I mean a walk-in robbery because here most folks leave their doors unlocked and keys in the ignition. Needless to say, I find a lot of comfort in knowing our home and property is secure with Arlo. First of all, this was an easy to install wireless home security system . My husband and I installed it in under 30 minutes. Our system came with four cameras so it probably took us the longest to decide where to put them than it did to actually install and get it running. We decided on the front door, back door, barn/back drive, and our chicken coop facing the shop. We felt like these were the areas a thief would most likely break-in. My son was riding his bike with our puppy and my husband is walking in the distance. You can also get a glimpse of our goats to the right and our horse in the background. Here the hubs is coming home for the evening. The hubs is backing out of the shop and heading out. The Fedex guy is delivering a package. The mounts are magnetic so the cameras can quickly be installed or moved to a different location. I catch our goats, chickens, cats and puppy on the cameras quite often. It’s funny seeing them playing in the drive and yard while we’re gone. The goats are out quite often and our puppy Rooster has a lot of fun playing with our baby goat. The cameras go off a lot during the day because our chickens are free range but I enjoy seeing them running around. I also received the Netgear Router which has been amazing. I love that it comes with an extender to plug in out in the south garage. 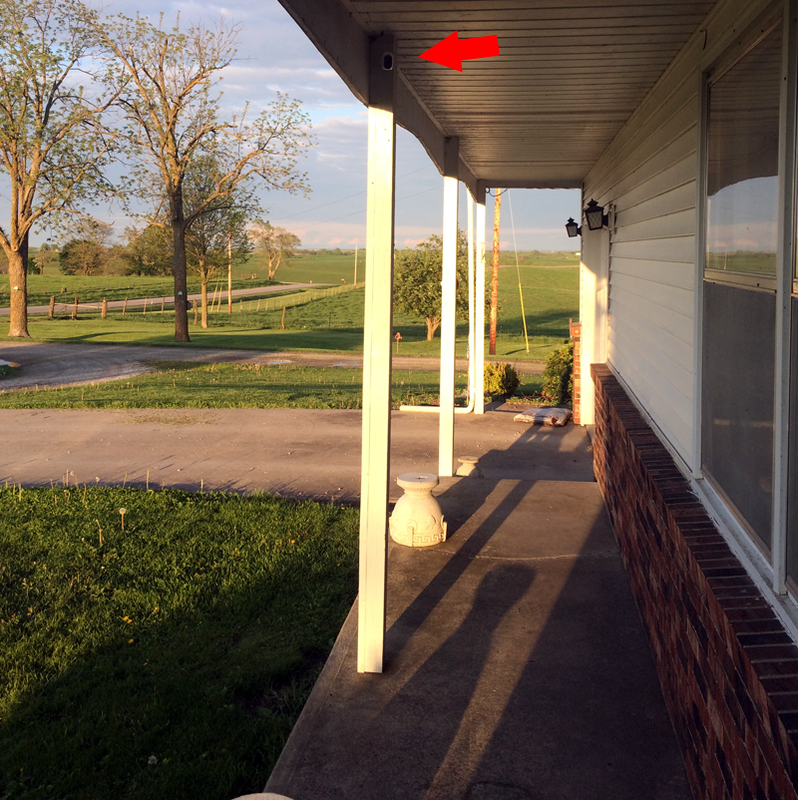 It extends our wifi so we are able to place cameras in other areas that wouldn’t necessarily be close enough to connect. I love that they come with multiple mounts so we can easily move the cameras to different areas and then back again without installing a new mount. I absolutely love that the cameras are 100% wire-free and waterproof. Having the cameras outdoors if very important. I want to be able to see how a thief breaks in rather than just inside my home. However, we could place the cameras inside if we chose to do so. The Arlo home security system is the perfect way to monitor your home. They are motion activated which means when they detect motion they start recording. The motion activation immediately sends an alert via email and/or app notification such as on your smartphone or tablet. The free app enables us to be able to monitor our home from anywhere. Plus, the built-in night vision allows the cameras to record even in the dark. I love that especially since we have a lot of night time predators like fox and coyotes. The HD cameras provide stunning clarity and sharper details. I love that I can watch live stream or via recorded videos from my desktop PC, smartphone or tablet using the free app from Arlo. 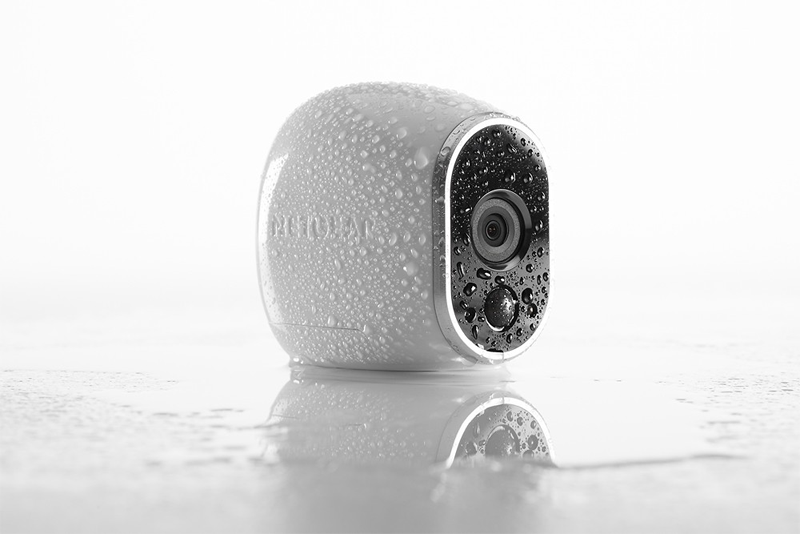 The Arlo cameras are 100 percent wire-free. The only thing that comes with a wire is the home base station and Netgear router that plug in to my router by my desktop computer. 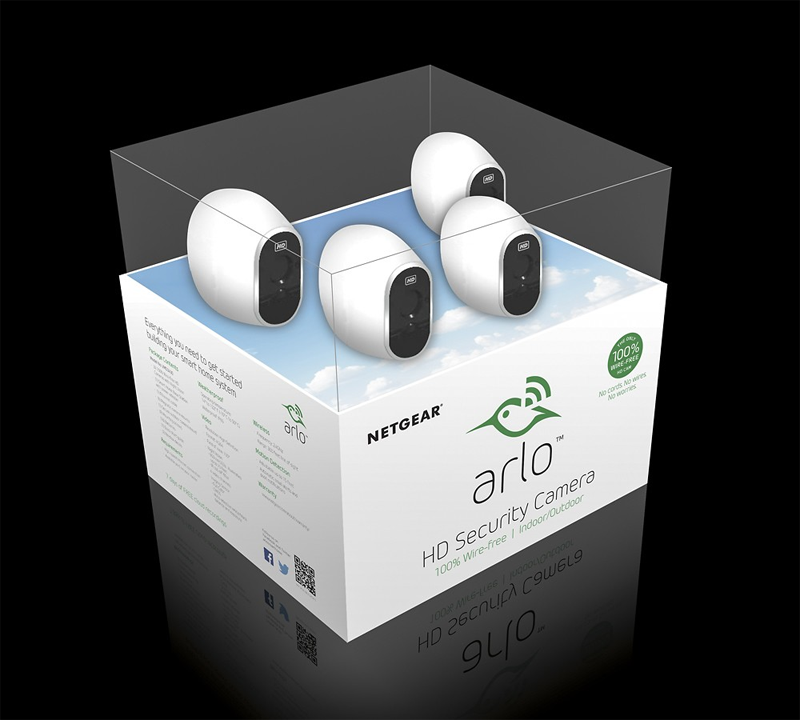 The Arlo system comes with a free basic plan which is all we will ever need unless we add more than five cameras. It is our goal to slowly buy more than four cameras. 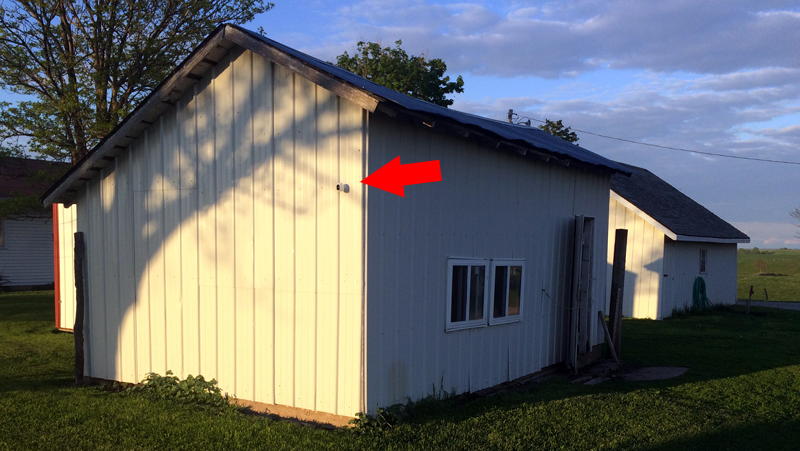 I would love to have at least a couple more and add a live camera to the chicken coop. All videos are saved for seven days with the secure cloud DVR storage or I can save them or share them easily within the app. 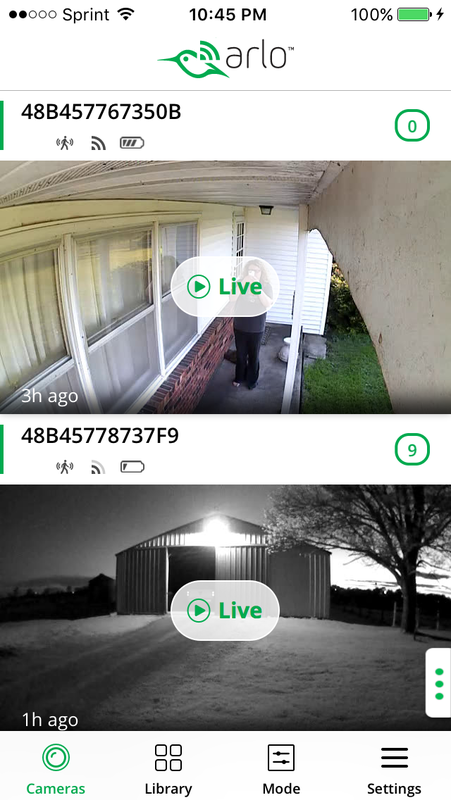 I highly suggest the Arlo security system for any homeowner. It is a cost effective solution for keeping your home safe and security for you and your family. Once I scroll down you can view more cameras. Ready to secure your home? Get your Netgear – Arlo Smart Home Indoor/outdoor Wireless High-definition Security Cameras (4-pack) – White/black here. Do you have a home security system? If so, what’s your favorite features? Comment below and share with us! Thank you for this review, I have been looking into wireless security and I think this would be helpful for me. This looks so easy to set up.. I am considering getting one! These are so cool. I would love to have this set up for my house. This sounds like a great system. It seems like there are more and more break-ins all the time! Cool system, this is something I would love to own for my house. Sounds good, but like alot of work. A job for the husband to do. I wish I had this over the winter. I don’t want to get into it, but everyone should own this. Interesting. We use Front Point but this sounds great. We live in a gated community with cameras already installed, but adding an extra layer of protection wouldn’t hurt. I like the idea of seeing who comes and goes. Do we have to comment on the same post daily, or can we choose one that we’d like? I could use this. I’ve had my car broken into a couple of times and windows broken. This is all too technical for me. I’m not into all of this. It does sound like a good device. I’d be thrilled to own this ,with home invasion on the rise thisd be wonderful protection. I would love to have this. Just a couple of weeks ago we had a man in our yard at night. Really scared me. It was the police, they was looking for a man. Seriously it only took 30 minutes wow that has me sold right there! Thanks for this thorough review. It’s a shame that we live in an age where we need one of these for our homes. I need this. I can think of at least three times that it would have come in handy. Nice write up and pictures. Thank you. This sounds like a great home security system. I need one for my home. I’m always afraid to take vacation. The neighbors can’t watch the house 24-7. We really need one of these. Thank you for sharing. I am super interested in this once I own my own home, great peace of mind. This is a really nice system. Thanks for sharing this. Easy for smart people, hard for the challenged. Thanks for the review. We are looking into a home security system. This will be on our comparison lit. It’s sad that these cameras are needed. Supposedly, people used to be able to leave doors unlocked. We really need one of these. Great info. Thank you. Seems that crime is up everywhere. I would love to get a security system installed. Peace of mind.